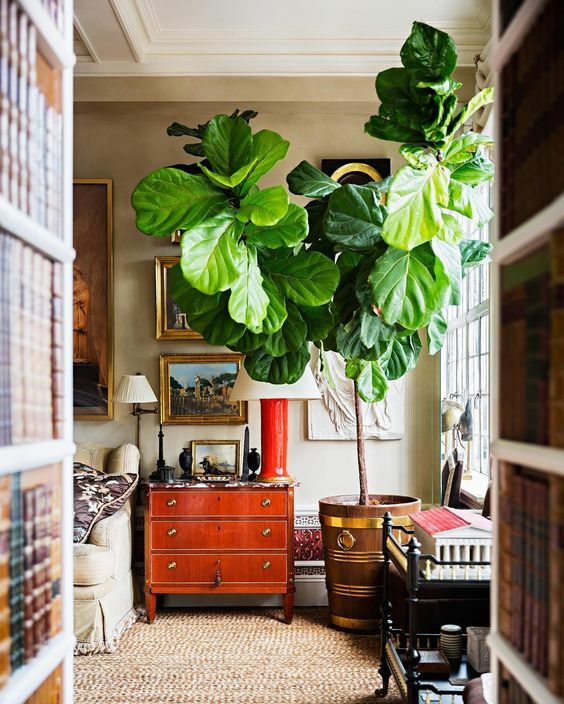 Is it possible not to fall in love with the Fiddle Leaf Fig? It’s lush, bold, and oh-so-green. Owning one of these sought after indoor plants is a testimony to your excellent style sensibilities and keeping up with the times. The fiddle leaf fig was named after the fiddle instrument, owing to its broad, fiddle-shaped leaves that it produces. Ficus Lyrata, was named an ‘it’ plant as long ago as 2012 and is still as popular as ever! Design bloggers, Instagrammers and indoor plant lovers alike are ‘all over’ this beautiful plant. This stylish indoor plant can be found nestled between the glossy pages of home and design magazines, all over Pinterest, blogs and taking prime position in many lounge, bedroom or home office spaces all over the world. It would seem that fiddle figs are evidence of a refined aesthetic and good taste, on the part of their owners. This potted plant has snuck its way into the spotlight and seems to be enjoying the (justifiable) limelight. Let’s explore 5 little known facts about Fiddle Leaf Fig Trees. Although this indoor plant can be found all over the world, the fiddle leaf hails from Western Africa. It is indigenous to In its natural habitat, the Ficus Lyrata can be found in tropical rainforests where it thrives in dense, warm, and wet surrounds. This might seem like a stark contrast to your cottage or apartment, but that doesn’t mean that you can’t successfully nurture a bit of African jungle as a potted plant in your home. 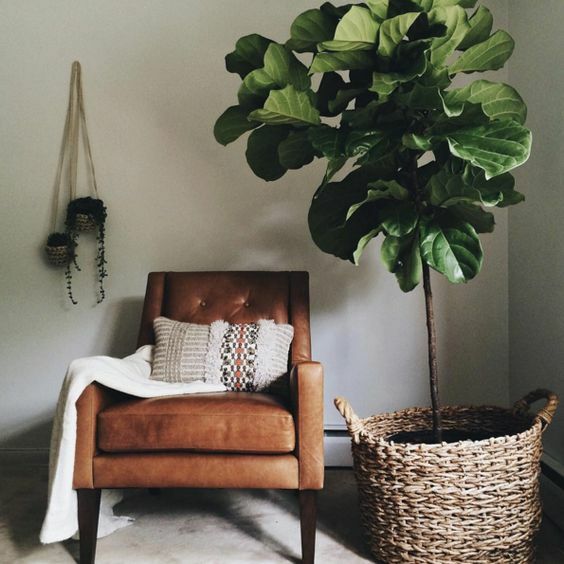 With the right conditions and care, your fiddle leaf fig will grow happily indoors. As an indoor plant, the fiddle leaf does not bear any fiddles (sadly), fruit, or flowers. Unlike the common fig (Ficus Carica), the fruit that the bears, when grown outdoors, are not edible. The figs of these two trees do however look fairly similar in size and shape. Grown outdoors, the fiddle fig can grow up to 15m in height, whilst indoors it can reach heights of around 3m. 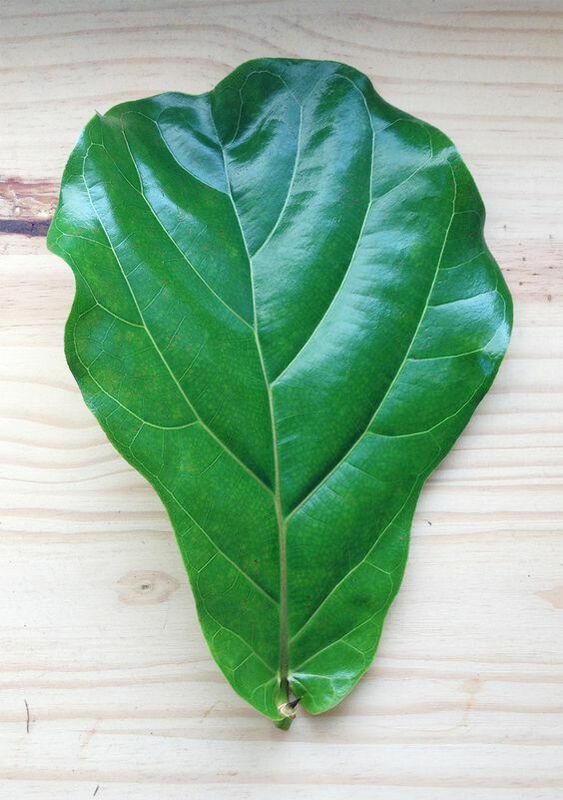 The size, shape and height of the indoor fiddle leaf fig can be controlled by pot size and careful pruning. Yes, it’s true – but only in the wild. The fiddle leaf will often start its life growing on the surface of another tree. As it grows, it will send down roots to the ground which surround and eventually strangle the host tree. Fortunately, not all trees have to start out this way. 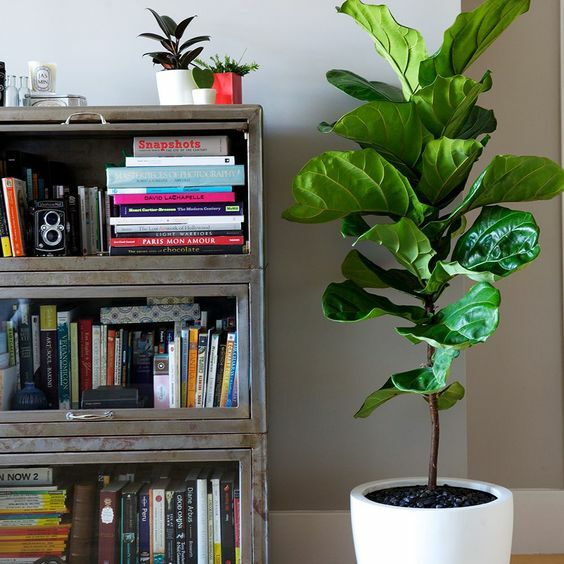 Having been reared in a nursery, the fiddle leaf that you will have in your home almost certainly didn’t kill another plant to establish itself. It would seem as though the 10’s belong to the fiddle leaf fig. 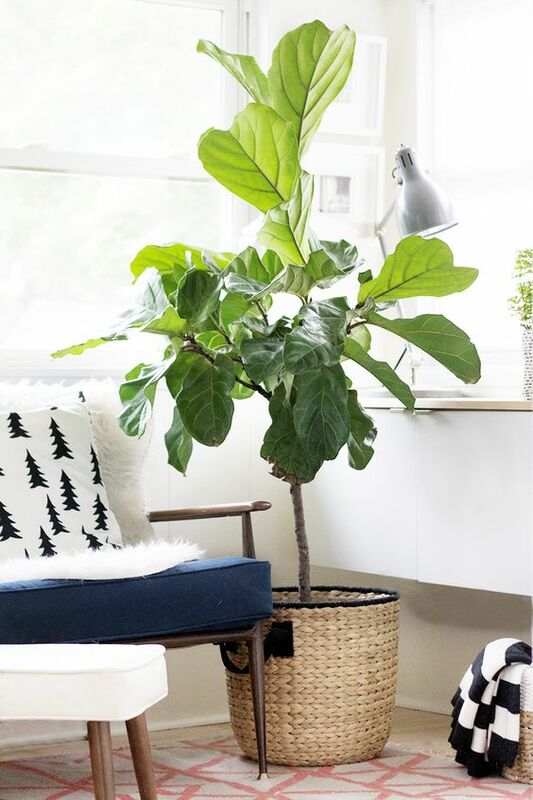 For a few years now, the fiddle leaf fig has been the ‘go to’ plant when it comes to interior design and décor. It is the indoor plant of the decade. 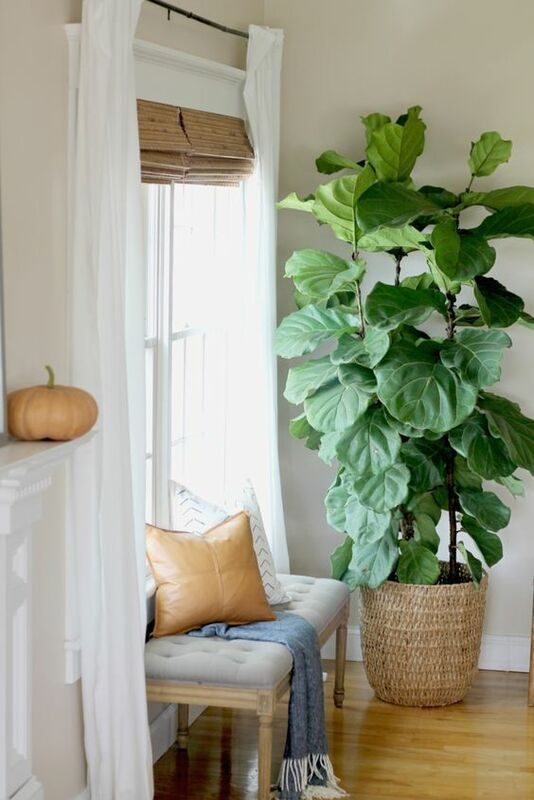 Open any reputable home décor or design magazine or punch ‘indoor plant’ into Pinterest and you will most likely spot a fiddle leaf, often potted in beautiful planters ranging from hand-woven baskets to minimal white boxes. 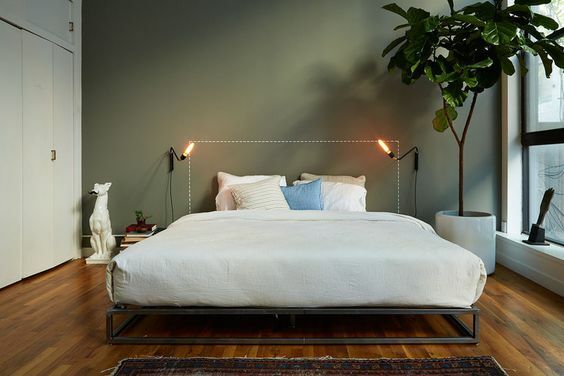 Designers and home owners alike love them because of their scale, sculptural quality and because they work with a wide range of interior styles; from bohemian chic to industrial and minimalism. 5. It doesn’t like to move around much. The fiddle leaf can make for a wonderful house plant, adding a bold statement or brightening up any dull corner in your home. 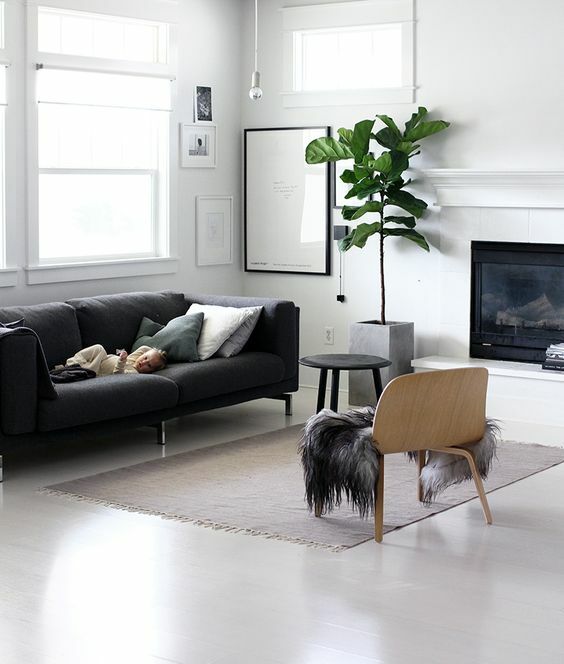 Take note though that the fiddle leaf fig may be finicky and take some time to adapt when placed in a new environment. But, before sounding the alarm, make sure that the Ficus Lyrata has had time to adapt to its new home. the fiddle leaf fig likes that best. 6. Did you know you can get one delivered to your door? While you spend hours scrolling through incredible pictures of indoor plants on Instagram and Pinterest, we are busy sourcing healthy, ready-to-ship fiddle leaf figs that can be delivered straight to your door. Get your fiddly friend here. Aaa did I forgot to say 1) is into it’s and 2) is less than a meter long!! I’m in shock, I was wondering why it was not growing taller until I realized it was growing a fig!